Conveniently located in the Towaco section of Montville Twp. NJ, the Hunting Hills Townhome and Condominium Community is a great place to live, raise a family, relax and enjoy life! Located in the eastern part of Morris County NJ, the Hunting Hills community of homes offer a Suburban Oasis for both its residents and visitors. The Townhomes and Condos at Hunting Hills in Montville Twp. offer all the conveniences of Maintenance Free Townhome Living in a great town. Montville Twp., recently ranked No. 1 in NJ for small towns by Money Magazine, offers a Top Rated School System and a short ride to all that the Metropolitan Area has to offer and is approximately 25 miles from New York City in Morris County, NJ and is just minutes away from all the conveniences necessary for today’s lifestyles. 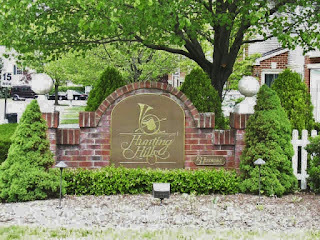 For Available Homes in Hunting Hills, please Contact Us!